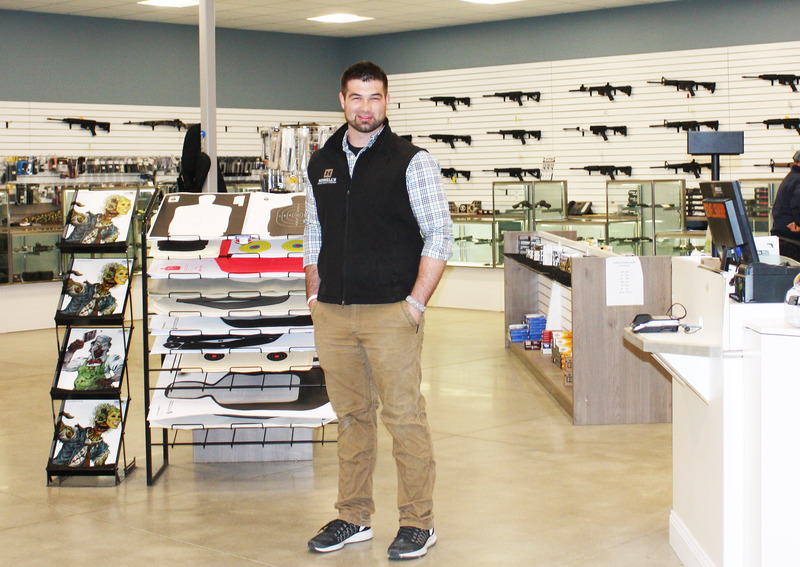 Adam Copp had big plans to expand Howell’s Indoor Range & Gun Shop. He wanted to double the size of the local gun retail shop through the addition of a state of the art indoor shooting range and an expansion of its retail showroom. Copp approached a credit union for financing, who liked the opportunity to help the business, and referred him to Maine SBDC Certified Master Business Advisor Brad Swanson to help him solidify his business plan and assess the feasibility of the concept. Over the next 10 months, Swanson talked through and helped Copp develop a realistic set of projections supported by a detailed business management and marketing plan for this large project. With Swanson’s guidance, Copp outlined the current and future structure of his business, the market opportunity and the company’s strategies to capture market share and increase the range of products and services available to its customers. Swanson recommended an SBA 504 loan structure, and working with Atlantic Federal Credit Union and Granite State – SBA obtained total financing totaling to over $2.75 million, in addition to owner investment. Construction on the project began in March 2016, and the grand opening for the new facility was in late October 2016. In just over a year, the project had come into fruition. The new state of the art, 28,000 sq. ft. retail store, indoor range and training facility offers indoor shooting ranges, private classrooms, and a large variety of handguns, rifles, shotguns, gear and accessories, archery products, gun safes and more. Services include custom gunsmithing, firearms rentals and FFL transfers. For more information on Howell’s, visit their website of follow them on Facebook!